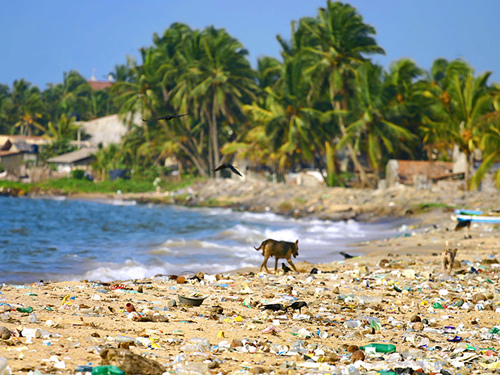 Not confined to just tourist destinations, many beaches around the world are littered with plastic debris, often propelled by ocean currents from faraway places. Beautiful isolated, sparsely inhabited islands suffer the consequences of irresponsible modern day rubbish disposal to the detriment of their inhabitants and economies. Armies of volunteers do their best to clean up. Economies suffer as tourist decline to visit. Ingested by marine life en-route to our beaches, often ending in death. Contamination of our food chain. Bird life dies from ingestion. Bad press for holiday destinations. The overall cost to all National economies is massive. The cost to the Environment is priceless. Govercraft ®#4 is designed to collect plastics from beaches. Picks up and deposits in re-useable container. Eliminates armies of volunteers… they can be better deployed elsewhere. Economical to operate…. Only two crew. Used regularly, keeps beaches pristine. 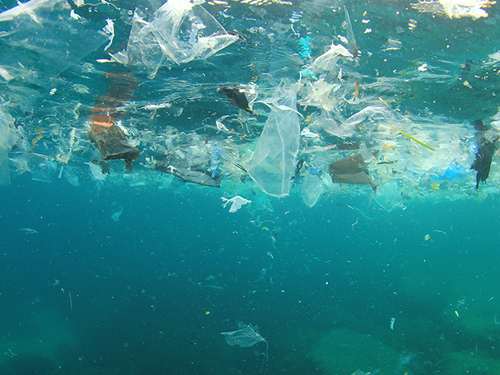 Plastic bottles, bags and sheet materials, MicroBeads and surface debris litter our oceans in huge quantities. Some take years to arrive on our shores. En-route they kill whales, fish, turtles and birds, to eventually land ashore as testament to irresponsible off-shore dumping, manufacturing and disposal. Out of sight, out of mind is not an excuse. A standard multi-tasking Gobbler 290, retrofitted with a GoGrinder® granulator for plastics, can work close to the beach in depths as little as 600mm, and is certified for as far offshore as 60nms. Most of the plastic pollution will be well within these ranges. The granulated plastic is transferred to a towed bladder specifically designed to trap the granules whilst allowing clean water to filter back to the ocean. With care, the bladder is infinitely re-useable when emptied. Note, for greater distances off-shore, Satellite communications are mandatory. By replacing the Advancing skimmer, the vessel will revert to normal oil recovery duties. For larger trash, the GoGetter® trash collector can be retrofitted. Ideal for fast cleaning of seriously polluted rivers and lakes, minimum depth 600mm.